"The Daily Show" takes Sheldon Adelson to task. 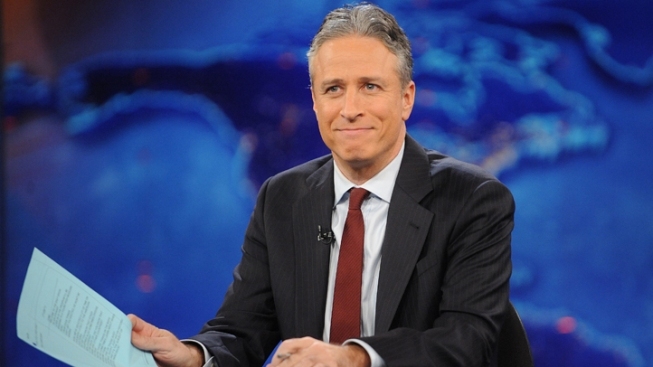 Jon Stewart mocked one of Mitt Romney's wealthiest donors on Wednesday's show. On Wednesday's edition of "The Daily Show," Jon Stewart poked fun at Sheldon Adelson, the wealthy casino magnate who, as the Wall Street Journal reported, plans to donate a whopping $10 million to a pro-Romney Super PAC. Political junkies may already be familiar with Sheldon Adelson. He's perhaps better known as the man who spent a fortune backing Newt Gingrich during the GOP primaries. "Sheldon Adelson was the guy who was willing to spend an unlimited amount of money to crush Mitt Romney!" Stewart said. (Adelson dropped $21 million on a Pro-Gingrich Super PAC during the former House Speaker's unsuccessful bid for the Republican nomination). Alas, Adelson is now an ardent Romney supporter—which makes the anti-Romney attack ads Adelson bankrolled earlier this year all the more ironic.